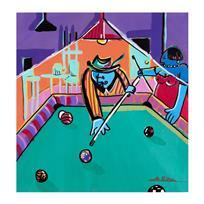 Rina Maimon, "Pool Hall" Original Acrylic Painting on Canvas, Hand Signed and with Certificate of Authenticity. 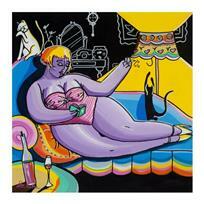 Rina Maimon, "Summer Night" Original Acrylic Painting on Canvas, Hand Signed and with Certificate of Authenticity. 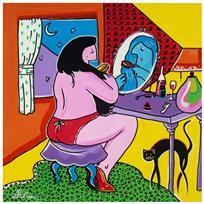 Rina Maimon, "Applause" Original Acrylic Painting on Canvas, Hand Signed and with Certificate of Authenticity. 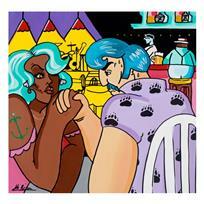 Rina Maimon, "Closer To Me" Original Acrylic Painting on Canvas, Hand Signed and with Certificate of Authenticity.